The typewriter was invented in 1869 by Christopher Sholes, Carlos Glidden and Samuel Soule, with its electric counterpart introduced in 1872 by Thomas Alva Edison. The machine allowed people to bring the printing press into their own homes. When typewriters entered mass production, they replaced simple pen and paper in many offices, homes and schools. The typewriter has been replaced by computers with word processing software. However, some people still keep typewriters at home for short, quick jobs such as printing envelopes or labels. Typewriters print as the user types, unlike computers which must be connected to a printer and only prints the project once it is completed. Thus, it is often more convenient to use typewriters for small projects. Some authors continue to use typewriters to transcribe their thoughts. Kevin McGowin, fiction writer and literature instructor, notes that the aesthetic of typewriters meshes well with the creative process of writing a novel or letter. The clacking of the keys, though disturbing to some, helps him get into a rhythm of creation. 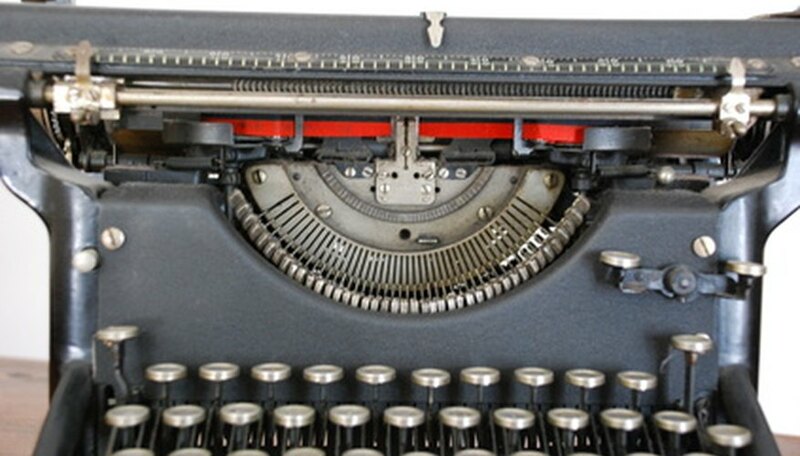 With the invention of computers and word processing, typewriters are now obsolete, according to the Smithsonian Institution. However, antique collectors appreciate typewriters, either for display or occasional use. According to the World Collectors Net website, in an era of complicated technology, some people have developed a newfound appreciation for antique machines. Word Collectors Net: "Collecting Antique Typewriters"
Jeanette Lee began writing in 2010. She has a Bachelor of Arts in English from Wellesley College and and a Master of Arts in technical and professional writing, as well as a Master of Literature in investigative journalism at Carnegie Mellon University. She is currently a digital content writer at an industrial marketing agency.